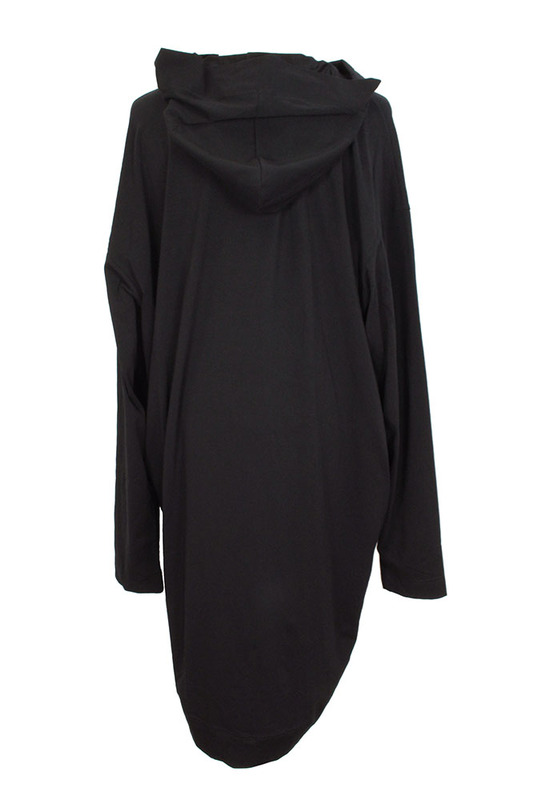 David's Road stretch, cotton jersey, very long hooded top. Hood with wide doubled fabric trim and stitch detail. 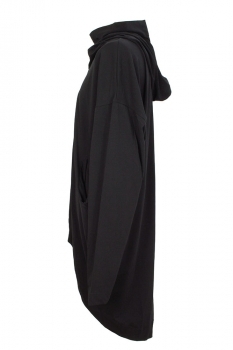 The hood section insets into the front of the garment with a curved seam, gathers beautifully around the neck. Long sleeve with doubled fabric cuff and stitch detail. 2 pockets. Curved hem, which curving up at the front so the front is shorter. Deep doubled fabric hem panel with stitch detail. This is a brilliant piece of clothing, wonderful shape and very stylish. One-size will fit most people.